It was a long weekend well-spent for Bicolanos who partied with Kapamilya star Marlo Mortel, a host of Umagang Kay Ganda on ABS-CBN HD, during the first leg of ‘Maki-JAM with SKYdirect’ in Legazpi City, Albay last April 29 to 30. To further bring SKY’s affordable direct-to-home (DTH) satellite TV service closer to the region, the two-day event kicked off with a motorcade of Marlo. 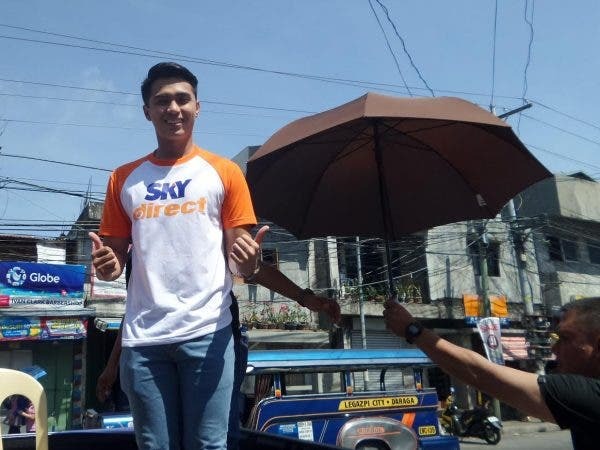 Together with the SKYdirect team, he made the rounds in the streets of Daraga and Legazpi City. The Umagang Kay Ganda mainstay together with SKYdirect Product Head Abigail Ng Sy also took time to get to know the city’s media practitioners and local dealers in an intimate meet-and-greet and thanksgiving event. “Bicol is only one region we plan to invade through the enriching content found on SKYdirect channels. In the coming months, we will visit more cities and provinces and hopefully empower more Filipinos with access to SKYdirect offerings,” said Ng Sy during an interview with Legazpi City media. Marlo’s series of performances that left fans in awe was the event’s highlight as he sang three songs while lucky fans got the chance to jam with him on stage. While waiting for Marlo’s much-awaited number, attendees sang their hearts out to their favorite songs in special karaoke activities courtesy of channel partner MYX and had fun with interactive games featuring hit TV shows and characters from channels available on SKYdirect. You can catch more of Marlo on UKG on ABS-CBN HD on Channel 2 on SKYdirect. SKYdirect offers a diverse channel lineup with exclusive channels catering to every family member that include ABS-CBN HD, the sports channel S+A, ANC, Cinema One, MYX, Lifestyle, Jeepney TV, DZMM TeleRadyo, ABS-CBN Regional Channel, Yey, Cinemo and TAG. Top-rating cable channels Cartoon Network HD, HBO HD, Disney, Nickelodeon, Warner TV HD, RTL-CBS Entertainment, TLC, AXN HD, and History HD are also available on SKYdirect. Subscribing to SKYdirect is even more affordable since kits are now priced at P2,699 from the original price of P2,990. SKYdirect prepaid plans are available nationwide at Plan 99, Plan 250, and Plan 450. Postpaid plans are available in Plan 250 and Plan 450 variants. RMK Electronics, Garcia Store, Doran Store, Cosmo Flow, Allycom, Adajo Electronics, Daz Store, Rody Store, Aso Store and ZON Electronics are among the stores in Albay province where customers can apply for a SKYdirect subscription. 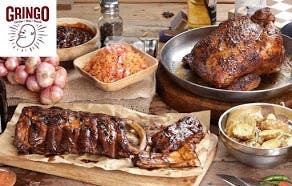 For more information, visit mysky.com.ph/skydirect, or text 23668 to order. SKY Cable Corporation is the first to introduce cable television to Filipinos in 1990. Since then, it has been a frontrunner in technology and cable TV content by being the first to design a highly customized viewing experience among subscribers, and offering the most number of HD channels. Aside from pay TV brand SKYdirect, SKY’s other offerings include SKYcable, One SKY Premium (unlimited internet all-in bundles), One SKY Lite (consumable internet all-in bundles), SKYmobi (mobile internet), and SKY On Demand (video-on-demand). What Helps Marlo Mortel Act and Sing?